Go home bread. You’re done here. SANDWICHES TEND TO be the height of lunchtime cuisine, particularly if you’re making lunch for yourself. It’s just so easy to throw some cheese, or ham, or whatever you fancy in between two slices of bread and away you go. The only problem is…it just gets a bit boring after a while. And as lunchtime is the highlight of the work day (oh – is that just us? ), we decided to round up some tasty options for lunch – no bread allowed. So let us know in the comments below if we’ve inspired you to shake up your lunchtime. Now, a wrap by any other name would probably be a sandwich, but we’ve decided to include them here regardless. We’re just mad like that. Just like a sandwich you can throw almost anything in there and roll it up, but here’s one of our favourite recipes for lunch. It’s a Mediterranean wrap with turkey slices, tomato, greens (spinach or lettuce) and roasted red pepper hummus – which is what elevates it from normal lunchtime fare. It can be prepared the night before and kept in the fridge. If you’re into food prep at all you’re probably all over the ‘salad in a jar’ trend but if you’re not, let us break it down for you. In an effort to make healthy eating as easy as possible, a big factor of that is to prepare your food in advance – thus always having something healthy to eat and no excuse to go grab something fatty at lunch (or any other time). As salads are hard to prepare too far in advance – the leaves tend to wilt – some bright spark came up with the idea of layering a salad in a jar, keeping the leaves well away from the dressings, which is what causes it to wilt. Voilà - a new dish is born. You can prepare a few of these in advance and have healthy lunch ready to grab from the fridge whenever you need. This isn’t a recipe so much as a how-to guide, which works out well for you – you’re not limited by arbitrary recipe suggestions. Let your salad-making creativity go nuts. We taught you how to cook soup here so you can’t tell us it’s too hard to do – it really isn’t. If you’ve a microwave in work, soup is a great lunch to bring in and heat up. If you don’t, it might be worth your while investing in a thermos flask to keep the soup hot till lunchtime, or you could try a cold soup – gazpacho is one. 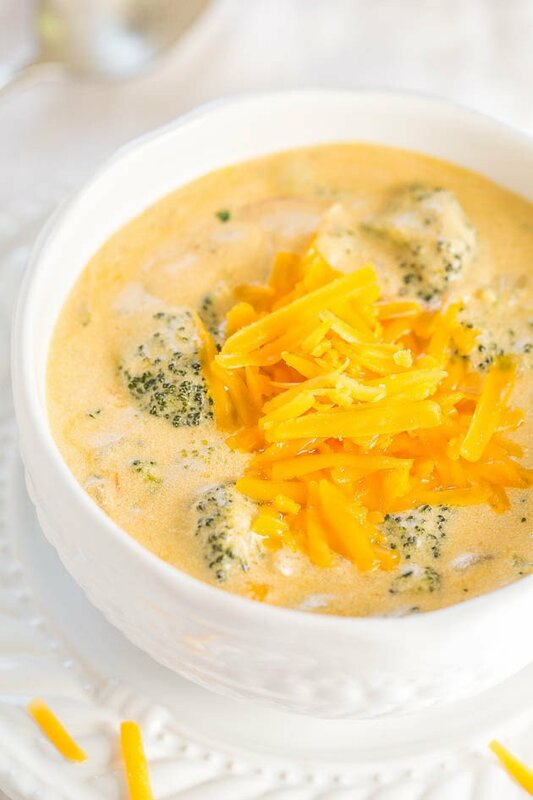 Here’s a recipe for a delicious cheesy broccoli soup - how could you resist? Frittata, or fancy omelette as it’s known around these parts, are a great lunch – you can eat them hot or cold, so no microwave required, and you can pack it full of ingredients like chorizo and potato making it really filling. Here’s a recipe to get you started, but the fritatta world is your oyster – although we think maybe not to add oysters…but that’s just us. Have we inspired you to try something new for lunch? Let us know in the comments below. Email “Move over boring sandwiches - easy lunch ideas that don't involve bread”. Feedback on “Move over boring sandwiches - easy lunch ideas that don't involve bread”.